Figures show the total number of foreign PMETs such as those on EP and S Pass has been increasing. On Tue (Mar 19), the Ministry of Manpower (MOM) released an annual survey report which showed that there were more job vacancies for Professionals, Managers, Executives and Technicians (PMETs) up for grabs last year. The annual survey showed that the share of vacancies for PMETS grew to 53 per cent last year from 49 per cent in 2017 and 48 per cent in 2016. Overall, there were 63,300 job vacancies in the public- and private-sector as of September last year, from 53,100 a year earlier. The latest foreign workforce numbers released by MOM last week, however, showed that the number of foreign PMETs in Singapore has continued to rise. 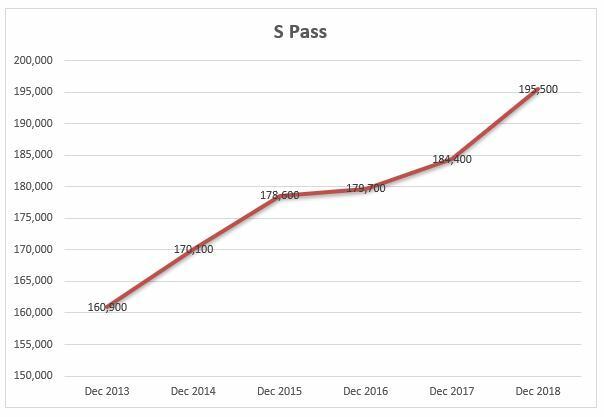 The latest figures show that even though the number of foreign PMETs on Employment Pass (EP) has decreased slightly in the last 2 years from 192,300 to 185,800, the total number of foreign PMETs (such as those on EP and S Pass) has been increasing. In 2013, the total number of foreign PMETs was 336,000. This number rose to 349,000 in 2014, 366,500 in 2015, 372,000 in 2016, 372,100 in 2017 and finally, 381,300 last year. 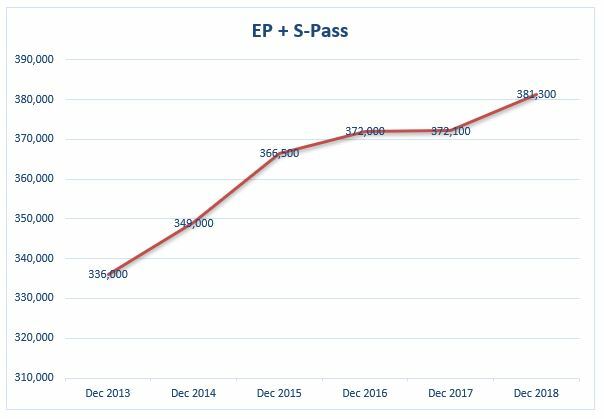 In 2018, the number of foreign PMETs on EP decreased by 1,900 compared to 2017 but the number of S Pass holders shot up by 11,100 in 2018, reaching a new high of 195,500. MOM’s latest labour marker report revealed that PMETs accounted for a whopping 79.3 per cent of retrenched residents in the last quarter of 2018. Overall, this means that PMETs make up a staggering 75.8 per cent of all retrenchments for 2018 – 3.8 per cent higher than the total PMET retrenchment of 72 per cent in 2017. 2018’s PMET retrenchment percentage of 75.8 per cent is the highest proportion of PMET retrenchment since the MOM first made such data publicly available in 2006. Explaining the high proportion of PMET retrenchment, MOM said that PMETs tend to dominate the industries that are shedding manpower. The labour market report also showed that the majority of retrenched residents were above the age of 40. Retrenched residents between the ages of 40 and 49 made up 34 per cent of all retrenchments while retrenched residents aged 50 and above made up 33.6 per cent of all retrenchments.